Sure-Win Prizes Up For Grabs! 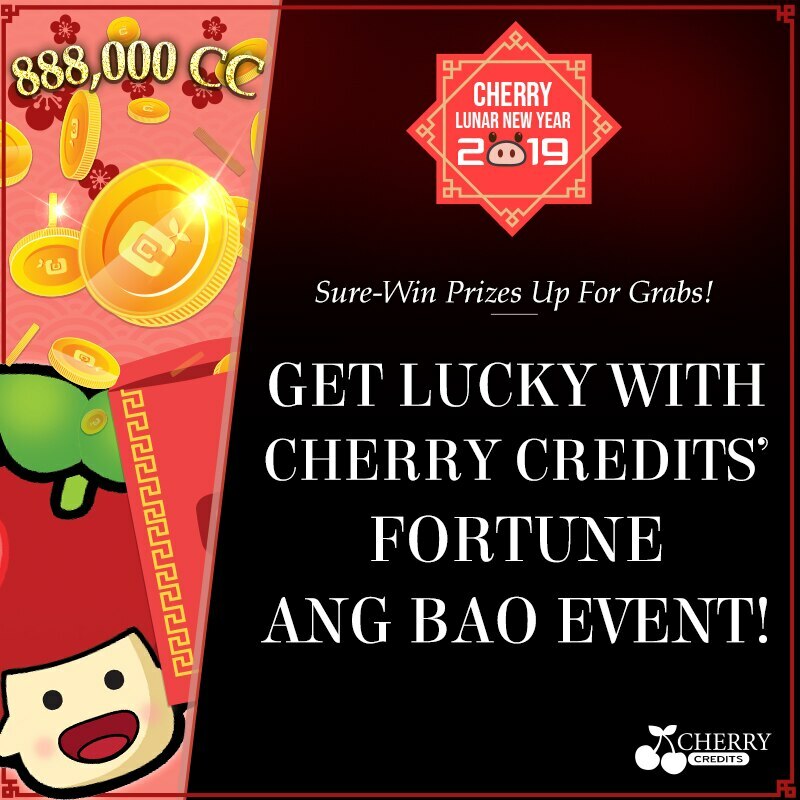 Get Lucky with Cherry Credits’ Fortune Ang Bao Event! From grabbing up to instant 888,000 CC rewards to top-up vouchers and plushies, it looks set to be an auspicious year ahead for everyone. Simply login to Cherry Exchange during event period to get your FREE daily chance to open the Fortune Ang Baos and grab rewards. Plus, you can get an additional Fortune Ang Bao opening chance with every 5,000 CC spent in a single transaction on any of your favourite game! Top-up Cherry Credits via OffGamers now!!! – Cherry Credits Official Site.